1) In to 'Object mode' I did Ctrl+Alt+Shift+C > Origin to Geometry. 2) In 'Object mode' I did Ctrl+Alt+Shift+C > Origin to center of mass. 3) In 'Edit mode' I have placed the cursor at the bottom of the character with Shift+S and then I did 'Cursor to center'. 4) In to 'Object mode' I did Ctrl+Alt+Shift+C > Origin to 3D Cursor to update or change the object origin to the location of the 3D cursor. 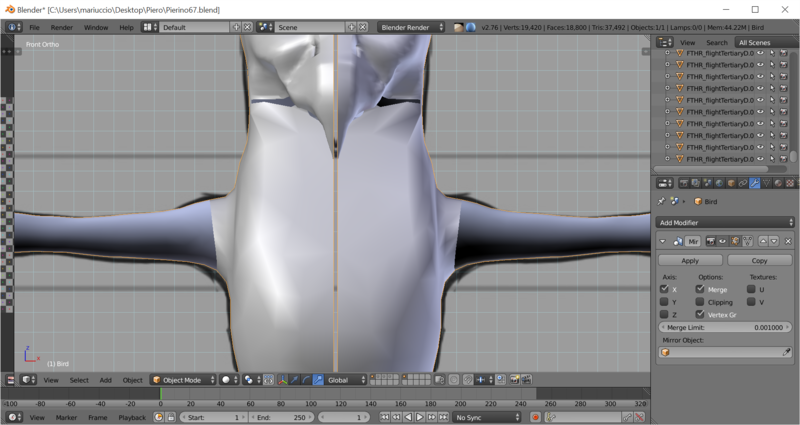 I have already selected only the edges that form the edge of the model (Alt+Right-click), and successfully scaled those vertices to '0' (using S,X,0) but none of these options did the task. As you can see from the attached pictures, the alignment isn't good. Why? Your model should have a series of vertices that will serve as the center of you model on the X axis. Your choice of merge of the Mirror Modifier works best this way. You may have already done this. 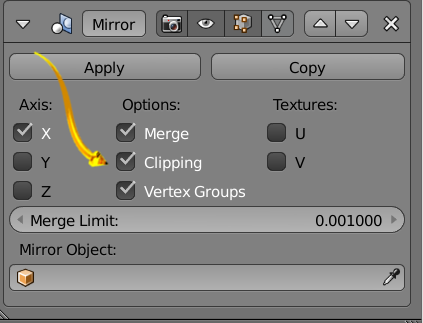 Use the Clipping option in the mirror modifier to respect the X center of your model. Use that in combination with SX0 (Scale Current Selection to zero X axis) which you discussed in your question. Be ready to turn the Clipping option on and off when necessary. SX0 can work with the Pivot Point to respect the Cursor position with the options in the 3D Window. 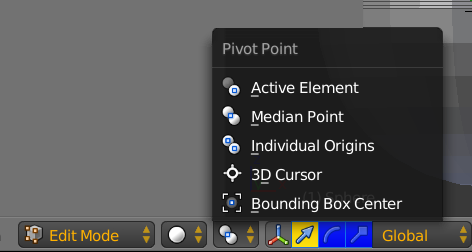 If your cursor is snapped to the center line X coordinate, and the Pivot Point is Cursor then you may require less steps. 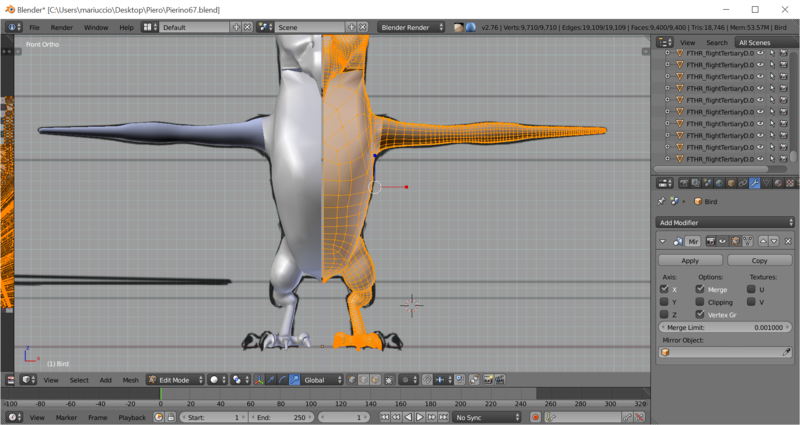 Otherwise you may need to GX Grab X for the center line vertices. Clipping option helps there, by allowing vertices to meet but not cross the X axis center line. Practice will improve the swiftness of this task. 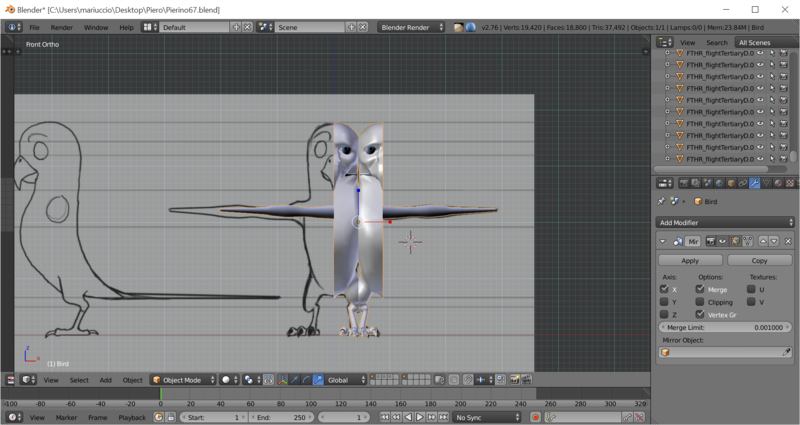 A Simple Bird Model. Homage to ... Are you my Mother? Mirror Modifier not active. Example Flaws on head and Beak. Image below. Mirror Modifier Active. Flaws. Note the Clipping option. Image below. Edit Mode with the 3 Flaw areas selected. Image below. Edit Mode after 3 separate GX Grab X of the defect areas. The Clipping option allowed me to quickly obtain the X location aligned with the X axis mirror. Image below. Object Mode. Eye added which required to disable Clipping temporarily. Clipping Back on. Image below. Smooth Shading. Subdivision Surface Modifier. Image below. Another Flaw example. A vertex off the X center line was moved to show an exaggerated vertex placement defect. Next a [Smooth Vertex] was performed a few times with this users default settings. The results were examined to achieve sufficient but not excessive smoothness. A round shape was desired not flat. Lack of smoothness can be confused with center line correctness. Image below. Not the answer you're looking for? Browse other questions tagged modeling objects editing mirror or ask your own question. How to fix mirror modifier doing weird things? How to perfectly align an object to another using the mirror modifier? How to set mesh center in Edit Mode?